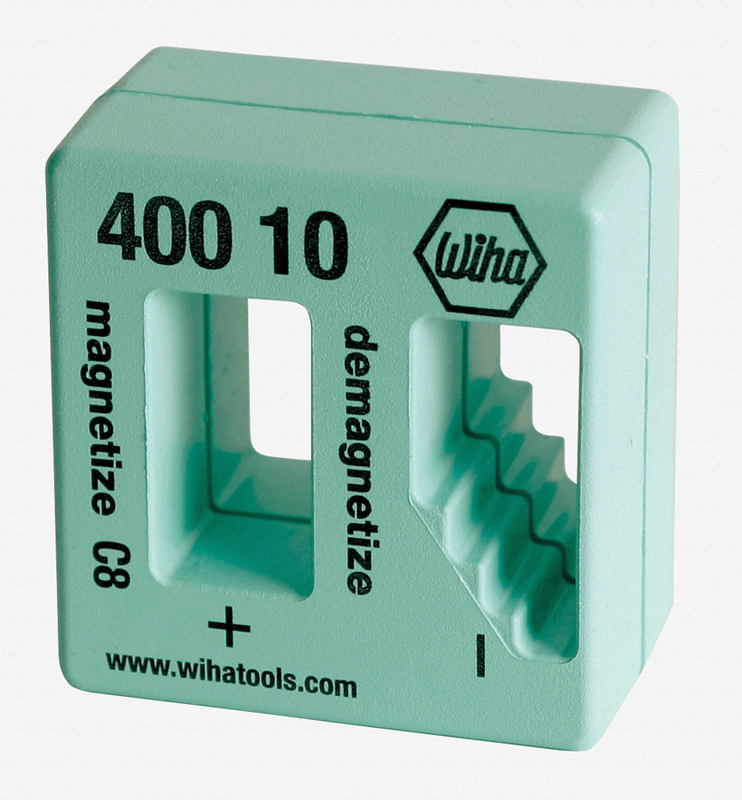 As part of our Highest Rated Tools series, we present the Wiha 40010 Magnetizer / Demagnetizer. This inexpensive magnetizer / demagnetizer is a great addition to any toolbox. Used by technicians, mechanics, and handymen this 2″ x 2″ x 1.25″ tool is a light-weight convenient way of magnetizing or demagnetizing a screwdriver bit, blade, or tweezer able to pass through the magnetic fields. The shatterproof box made from high quality plastic, shock-resistant, green, and is cadmium free. It uses 2 C8 industrial permanent magnets and is Made in Germany. To magnetize and demagnetize steel screwdriver blades, tweezers and similar tools. Shatterproof Box made from high quality plastic, shock-resistant, green, cadmium free. Wera Sale Ends September 30th – Get Your Joker Wrenches Now!